I never expected to have anything in common with Muhammad Ali.After all, he was a three-time world heavyweight champion and Olympic gold medal winner, and I required three friends to turn me over to complete a forward roll in gym class. 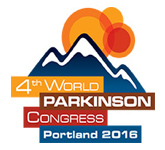 In 1998, however, at the age of 44, I was diagnosed with Parkinson’s disease, as Ali had been 14 years earlier. Overnight our lives became inescapably entwined. Over time, Ali became one of my heroes. 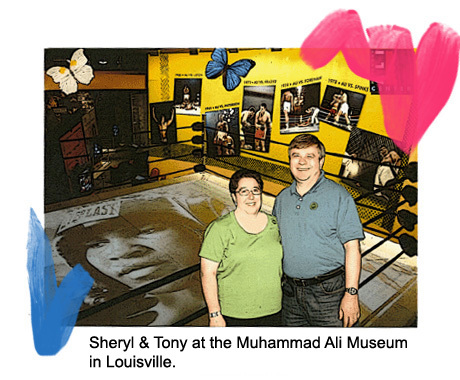 Standing in a mock stadium inside the Muhammad Ali Museum in Louisville, Kentucky, I relived one of Ali’s greatest moments. Projected before me was a life-size Ali, his hand shaking as he raised a golden torch and lit the Olympic flame to open the 1996 Atlanta games. Those of us who shuffle in his shoes know that standing there, with the eyes of the world focused on him, took more courage than getting in the ring with the toughest opponent. He sent a clear message that those with disabilities are as deserving of respect and dignity as anyone else. Listening to the thunderous, standing ovation Ali received, I wept, believing for a moment that the world beyond the PD community understood the courage it takes to live with PD. Ali should know this. As amazing as he was in the ring, his contributions to humanitarian causes after retiring from professional boxing in 1981 have been even more incredible. His efforts earned him everything from Amnesty International’s “Lifetime Achievement Award,” to a citation as “United Nations Messenger of Peace” to the Presidential Medal of Freedom, our nation’s highest civilian. Like Ali, each of us must decide whether to allow Parkinson’s to limit and define us, or to set us free to do great things we never dreamed we’d do, and become the best we can be.